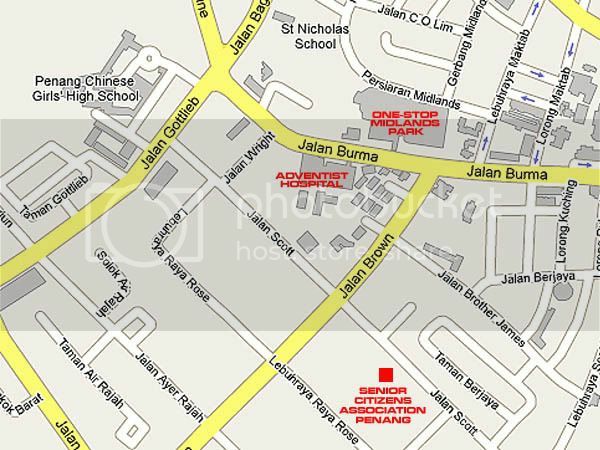 NOTE: The Association has relocated to Jalan Sir Hussein, Air Itam, Pulau Pinang. Tel: 04-826 6314. The cafeteria has ceased its operation. Fortunately, you can find them at Pulau Tikus market hawker area from 6.00pm until late daily or Lengkok Burma’s “Lao Heok Hooi” under the tree hawker area from 10.00am until 3.00pm (Monday-Friday). Sometimes it is good to visit places that will bring back fond memories of our childhood days. When I was a child, I used to play in the big field along Jalan Scott with my parents and brother. After a happy and enjoyable day out with them, we will usually end up at the Senior Citizens’ Association of Penang for our meals. Going back there again recently brought back many memories of how fun and united it was to have everyone sitting down there and enjoying ourselves as a family. That sort of reunion hardly exists that frequent in our family now as all of us had grown up and being busy with our own life and family. As I drove into the compound of the Association, I can see many cars parked outside. Those were the cars of some of the senior citizens there. I kept thinking in my mind why they were there when they should be in the comfort of their home enjoying their life with their children and grandchildren. Were they there because they would feel more at home with people of their ages or they were not getting as much attention from their loved ones that they had to be there for companies? I have no answers to that, do you? Anyway, coming back to the type of food they were serving since the first day I stepped foot into the cafeteria with my parents. The menu did not change much. Most of the food served there were for the convenience of the club members although they did get revisits from some of the guests the members brought in there earlier. I ordered the usual such as the Mee Sua Tao (RM5), Roti Babi (RM3.80 per set) and Choon Pneah (RM3.80). 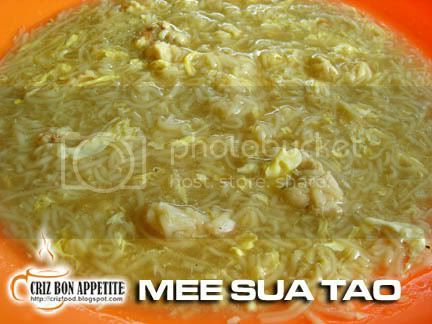 The Mee Sua Tao (Rice Vermicelli with gravy) was great when taken with black vinegar. The dish was cooked with some minced meat, egg and crab meat. Nothing really special compared to those sold elsewhere as the prices of things had gone up tremendously and the ingredients were not as much as it used to be. The taste still remained the same as what I had taken when I was younger. The Choon Pneah (Spring Roll) was still nice. 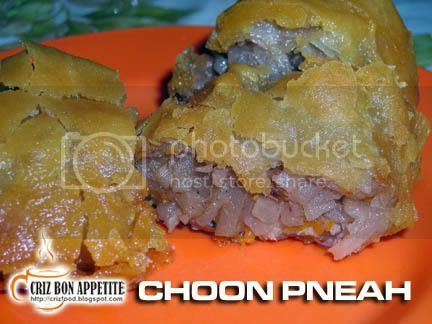 Strips of turnips, carrots, minced meat and crab meats were wrapped in a poh piah (flour crepe) skin and then coated with some flour and fried to perfection. Although it was a bit oily, the crunchiness and the taste of the 5-spice powder brought out the taste nicely. As for the filling, not much of crab meats in there as the price had shot up a lot quite a lot in the recent years. The Roti Babi (French toast with filling) had the same filling as the spring roll. Instead of the poh piah skin, white bread was used and coated with beaten eggs and deep fried until it turned to golden brown. This is a great dish for breakfast, tea or supper. Both dishes are best served with cut chillies in Worchester sauce. The cafeteria is very near to One-Stop Midlands Park Centre and Adventist Hospital. If you are along Jalan Burmah, just turn into Jalan Brown. Drive forward until you reach the second junction on your left. Turn into the road (Jalan Scott) and you will see a building with a big field on your right. 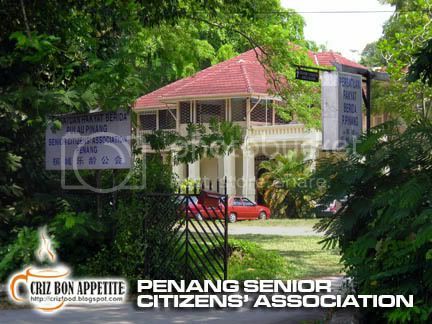 That is where the Senior Citizens’ Association of Penang is. The cafeteria is just behind the building. Address: 7 Jalan D.S. Ramanathan (Jalan Scott), 10350 Penang, Malaysia. love the roti babi there! 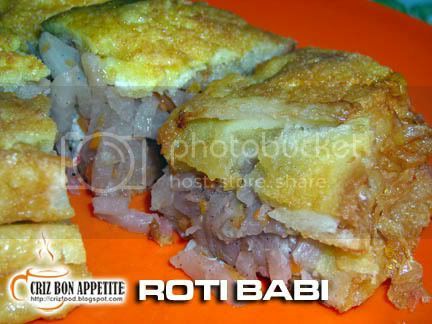 Hmm.. I’ve once eaten a very oily roti babi. From there on, I dare not order roti babi anymore. I would like to invite you to visit Food Promotions blog at http://foodpromotions.blogspot.com/ for all the promotions throughout Malaysia. Do link us at your site. Thanks for your support. Hope to see you soon at Food Promotions Blog. Never think of The Senior Citizens’ Asso has a cafeteria in there…noted! Hi, I have been to this place before and now, they have moved. Do you have any idea where they moved to? Hi Phoebe~ The Association has relocated to Jalan Sir Hussein, Air Itam, Pulau Pinang. Tel: 04-826 6314. The cafeteria has ceased its operation. You can find them at Pulau Tikus market hawker area from 6.00pm until late daily or Lengkok Burma’s “Lao Heok Hooi” under the tree hawker area from 10.00am until 3.00pm (Monday-Friday).